Whether you’re about to visit, just visited or are still here, there’s a lot to know about this Southern California destination. Here are 15 things about Catalina Island that often make visitors wonder. How much does it cost to live there? Like life everywhere, housing is the biggest expense when factoring the cost of living. Catalina Island real estate is comparable to other Southern California beach cities, which means, as you might expect, that it is higher than average. Groceries tend to be higher, as does gasoline, but residents tend to drive significantly fewer miles than their mainland counterparts. Utilities, like water and electricity, are comparable. How big is Catalina Island? The island encompasses about 76 square miles and 52 miles of coastline. It’s about eight miles wide at its widest point and half a mile at its narrowest. Catalina is about 22 miles long. How does stuff get to Catalina Island? Primarily by barge, which comes to the island daily in the summer and a few times a week in the winter. Catalina Flying Boats, an air freight service, brings over the mail, UPS and FedEx six days a week, weather permitting. What’s on the rest of the island? The majority of Catalina Island visitors never venture beyond Avalon. The interior – also known as The Hills – is an undeveloped wonderland of wild spaces and wild life. It’s protected by the Catalina Island Conservancy, a non-profit tasked with preserving and protecting the island in perpetuity. How many people visit the island every year? 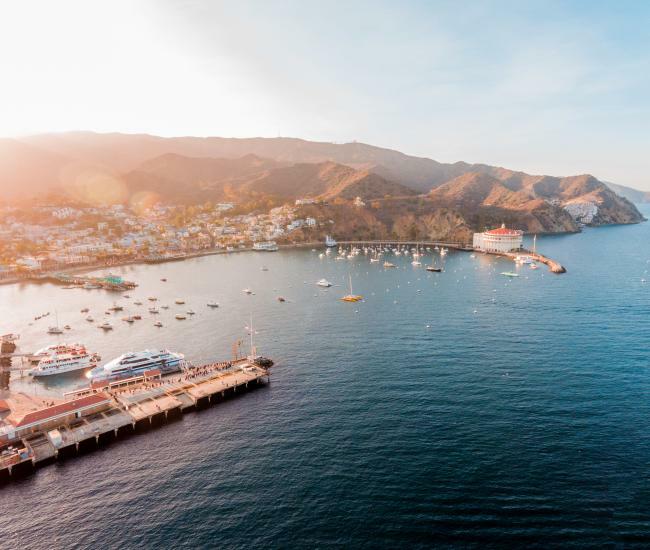 More than one million people visit Catalina Island every year, arriving via Catalina ferry, helicopter, cruise ship, private boat and private plane. Why does everyone drive a golf cart? The City of Avalon is the only municipality in the State of California allowed to regulate the number of vehicles within its city limits. Because of that, the wait for a full-size vehicle is more than 20 years. Golf carts – or autoettes as they are classified by the city – are not nearly as restricted. Each home is allowed a permit for one golf cart. How tall is the tallest point on the island? Mt Orizaba is about 2100 feet above sea level. Is there a school/hospital/church on the island? Yes to all three. Avalon Schools is part of Long Beach Unified School District and serves about 650 students in grades kindergarten through 12th. Catalina Island Medical Center provides routine and emergency medical care to the island’s residents and visitors. Three churches serve the island: Avalon Community Church, St. Catherine of Alexandria Catholic Church and Singing Waters Church. What’s the Trans-Catalina Trail? The Trans-Catalina Trail extends from the West End to the East End of the island. It is a challenging – but beautiful – hiking trail that attracts hikers from throughout California. Why is there no gambling in the Casino? It’s not that kind of casino. The Catalina Casino was named for an Italian word meaning gathering place. 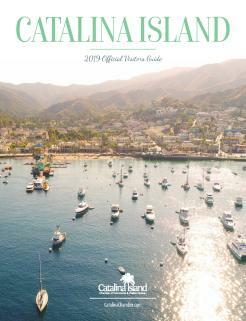 How many people live on Catalina Island? About 4,000 people live in Avalon year round. Another 200 or so live at Two Harbors and a few dozen live in other areas of the island, including Middle Ranch and Empire Landing. What kind of wild animals live on the island? Our native species include foxes, squirrels and an array of bird species. The larger mammals on the island, such as mule deer and bison, have been introduced. How deep is the water between Catalina Island and the mainland? It varies. The stretch of water between Catalina Island and the mainland, which is officially known as the San Pedro Channel, is nearly 3,000 feet deep in places. Can I go hiking? Absolutely. 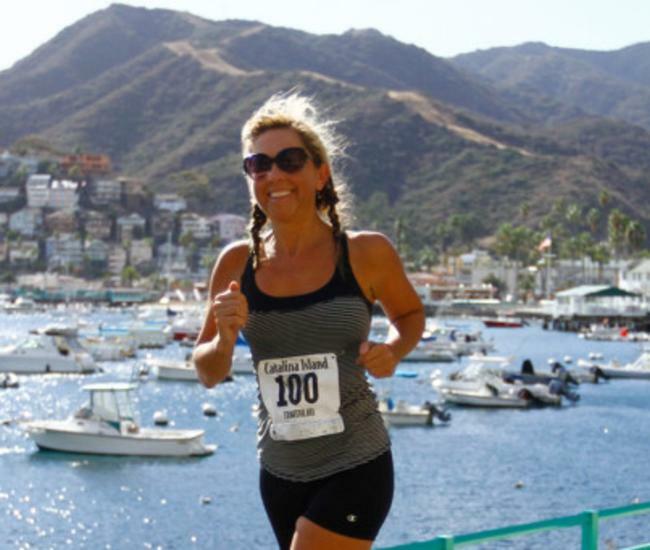 Catalina Island is renowned for its hiking trails. The majority of the island is overseen by the Catalina Island Conservancy and you’ll need to get a permit before you go. You’ll also want to let someone know where you plan to go and when you plan to return. Can I spend the night? Please do. 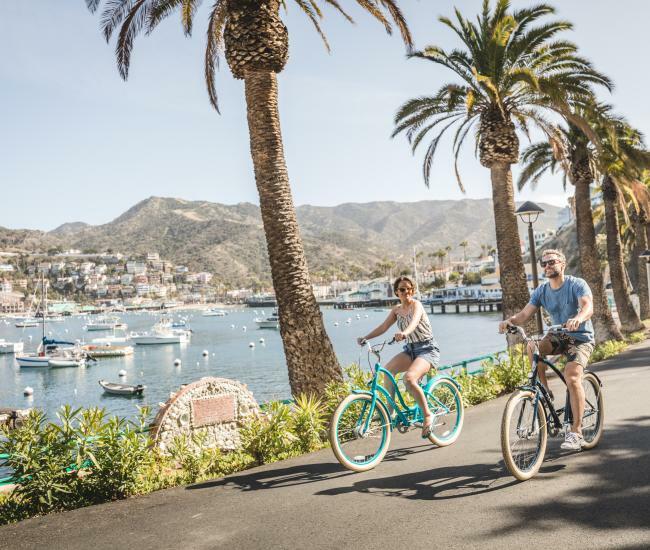 Catalina Island has dozens of hotels, hundreds of vacation rentals and a number of campgrounds – all of which welcome visitors.